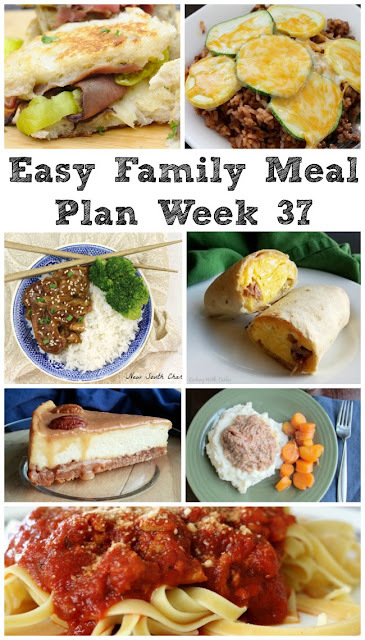 With 6 fun dinner recipes and a sweet treat, this week's menu is planned for you. We have a little something for everyone from a delicious sandwich to pasta, pulled pork to breakfast for dinner. And that cheesecake? Well, that's all mine! Eeeeek! Another weekend! As has been the plan for the last few weekends, the boys have working on the playset in the back yard. The second floor is all decked and the monkey bars are up. Hopefully tomorrow will bring railings on the second level and MiMi will be able to sleep better at night. I am busy putting the finishing touches on #appleweek. It is going to be fun and I can't wait for it to finally start tomorrow! 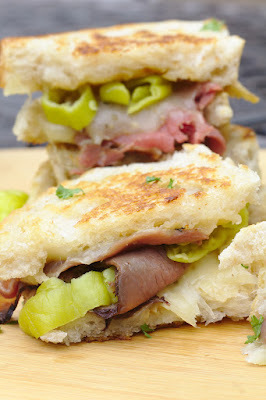 We'll kick the week off with these Italian Beef Grilled Cheese Sandwiches from Mildly Meandering. Don't they look fabulous? 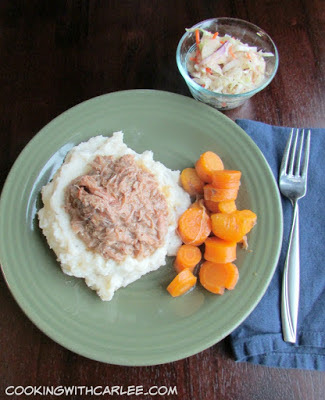 Next up we'll have some Slow Cooker Apple Cider Pulled Pork. It is apple week after all, so we better get some apple recipes in! 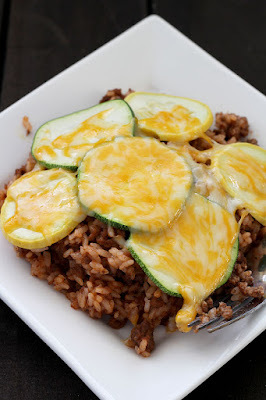 Then we'll enjoy some Easy Zucchini and Yellow Squash Casserole from Recipe Treasures. What a filling dinner that helps bridge the seasons! 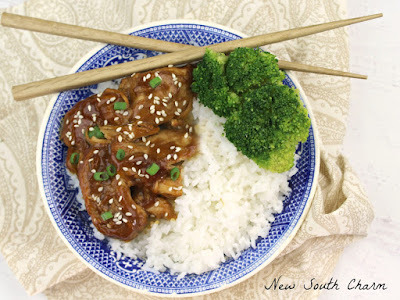 Slow Cooker Teriyaki Chicken and Rice from New South Charm will be a perfect way to bring in the middle of the week. 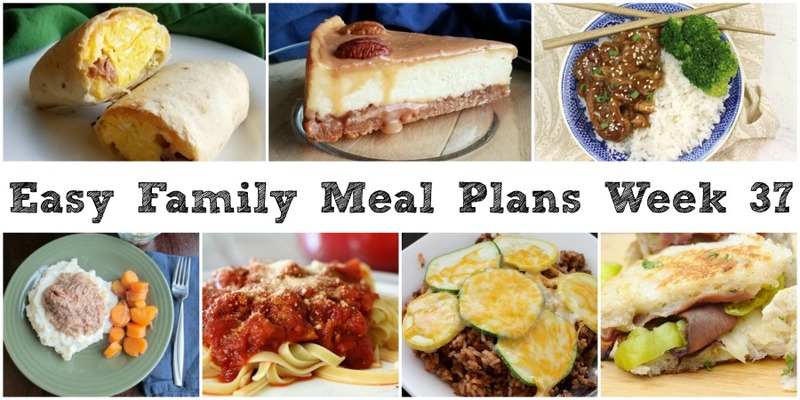 Dinners like this are always a hit at our house! If you like breakfast for dinner as much as we do, this is going to be a treat. If not, go ahead and make it for breakfast this weekend. 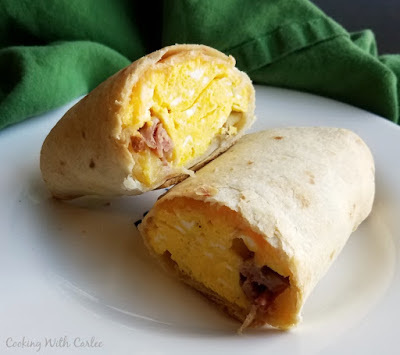 These Baked Breakfast Chimichangas are crunchy on the outside and perfectly stuffed with all of your breakfast favorites. My guys always get excited with spaghetti is on the menu. 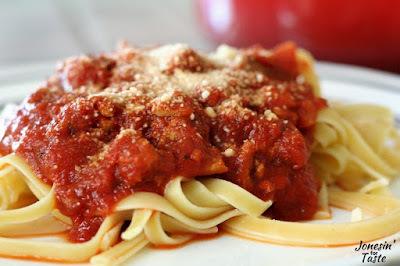 This Turkey Spaghetti Sauce from Jonesin' for taste will be perfect! 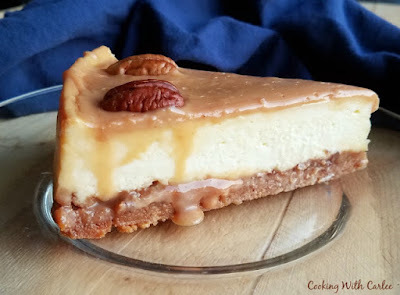 We'll round out the week with this delicious Caramel Pecan Cheesecake. I just made it for the first time and it is already a family favorite. I bet it gets requested again and again! Oh no. The cheesecake didn't show up for me. No worries though. I know where to find it. Oh my goodness, I better get that fixed right away!